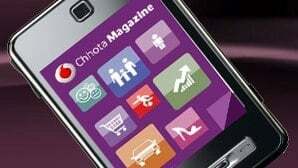 Vodafone India leading GSM operator has come up with an app named ”CHHOTA MAGAZINE ” one can download Chhota Magazine for free on his/her Vodafone mobile phone & get access to latest magazines. Not only this you can even rate an article or read a review on the discussion board. Not to surprise that Indian telecom market keeps on adding latest Value Added Services in its basket as the ARPU is falling its been a concern for carriers to maintain there revenue and the best they find is from VAS. Genre wise listing – Get categorised magazines on Chhota Magazine. Easy layout – Go through magazines with an easy to use book layout. Flexible charging – You can choose to either buy the entire magazine or simply pay for the article you like. Bookmark – You can tag your favourite articles for future references. Search – Find any article of interest for instant viewing. sms CM to 111 (toll free) & download the application using Vodafone Live! You can also log on to Vodafone live! and download Chhota Magazine from the Apps section. Go to the Chhota Magazine download page using Vodafone Live! companies can add revenues by finding more and more peoples who uses net on mobile.. they should give good offers and also a better speed.. i am satisfied with airtel.. 13rs/ 3 day unlimited in kerala… for last 3 or 4 month i am using net on my mobile highly…before it i hadnt used much… i had seen that many of my friends had also started using internet on their phones….